There have been many different psychologist in the past century who have tried to explain human behavior and human motivation. From Freud to Jung to Erickson, it can seem like there are as many theories about human behavior as there are stars. Understanding these different theories and what they mean for us as humans though can be extremely important in understanding ourselves and others. 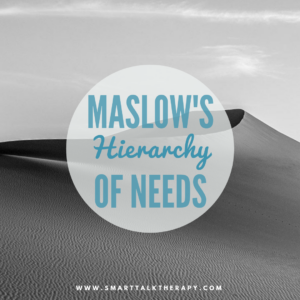 This is why I have chosen to speak about Maslow's hierarchy of needs in my upcoming posts. It is a theory that we use frequently in our work here at Smart Talk. Physiological Needs - These are the needs of the body that include shelter, food, water, rest, etc... It refers to our basic needs. If we are hungry, if we don't have somewhere to sleep at night, we won't be able to do much of anything else. So the first human goal is to meet your physiological needs. Safety & Security - In order for any human being to thrive they must feel safe and secure. This means that they have to feel like they can work freely, without the threat of death or destruction. Love & Belonging - This third level of the pyramid starts to move into the emotional and rational areas, and away from physiological needs. Feeling loved by others and feeling like we belong to a community, family, etc... is a strong motivator in human behavior. Self-Esteem - Once we feel loved and like we belong we can start to have self-esteem and self-worth. You are moving away from the outside world (such as food and shelter) and begin to focus on ourselves as individual human beings. Self-Actualization - This is the final level of the pyramid and this is where you can start to succeed and achieve incredible results. You become a human who is fully alive and free. It is important to understand this hierarchy of needs so that you can understand what motivates you to act and behave a certain way. I will spend the next few weeks writing blogs about each level on this pyramid in more detail since each aspect of this pyramid is truly important for us. Everything that I will write about comes from my studies about Maslow's Hierarchy of Needs. 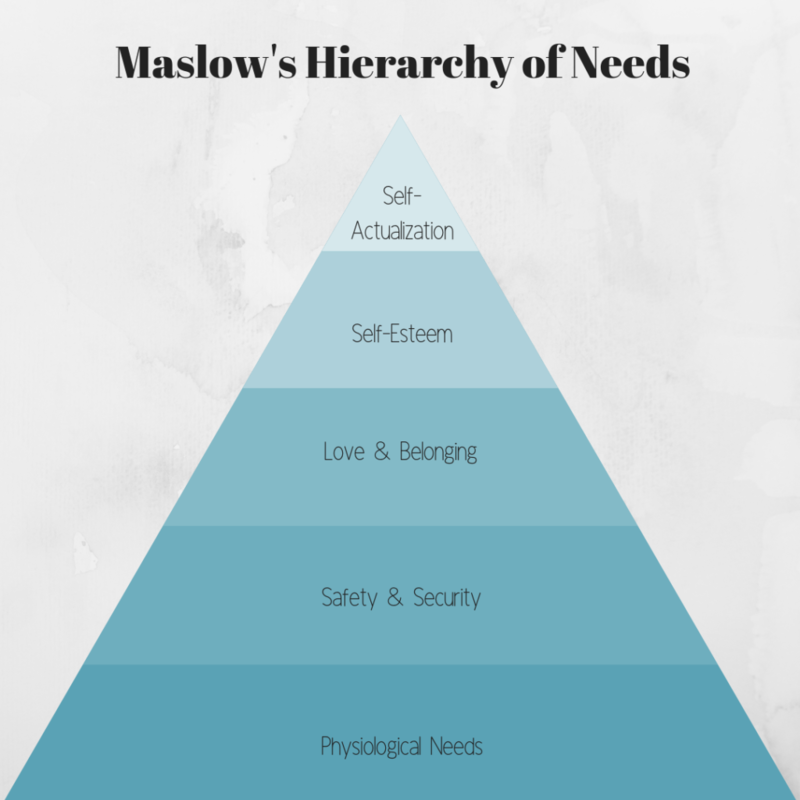 An easy introduction into the topic is the book "Meet Maslow" by Landon T. Smith, which is the book that I will be referencing throughout these next blog posts. Where-ever you find yourself on this hierarchy of needs, we are here to help. We continue to accept new clients from New York, Florida, Hawaii, Illinois, California, and outside of the USA (Canada, Australia, New Zealand, England, Ireland, Scotland, Wales, Italy, United Kingdom, Germany, France, Spain, Mexico).